We build our homes to protect us from the elements, to keep us warm and dry or even, in the right climate, cool. But even the strongest bricks and mortar can’t totally protect buildings from nature. 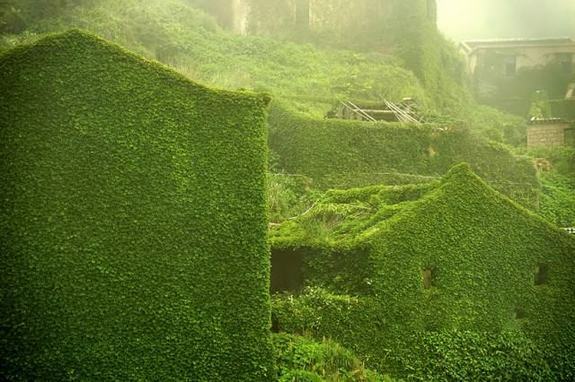 When houses and other structures are abandoned (and sometimes when they’re not), nature moves in and stakes its claim. 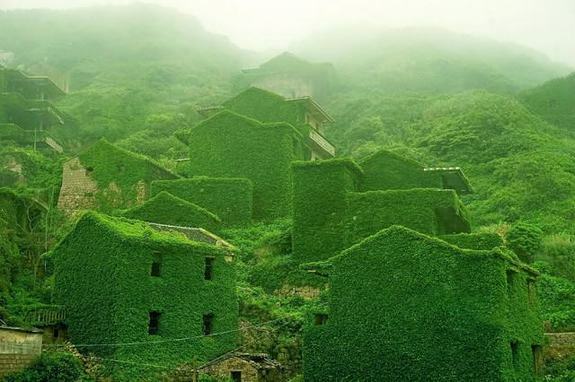 Sometimes, nature lives happily alongside humankind, others it totally takes over. These fascinating photographs show man-made architecture pitted against the forces of the natural world – and they serve as a reminder of nature’s beauty, strength and inimitable power. 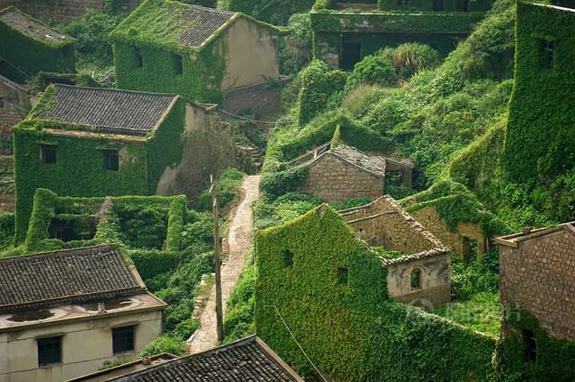 On Shengshan Island in China’s Zhejiang province, an entire village is cloaked in green. The fishing village was abandoned in the nineties because its isolated location made it difficult for residents to access education and food supplies. 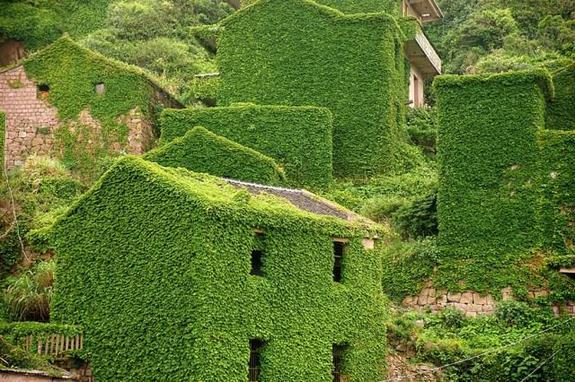 Since then, vines have quickly taken over, almost completely covering the houses and other buildings, turning virtually everything green. 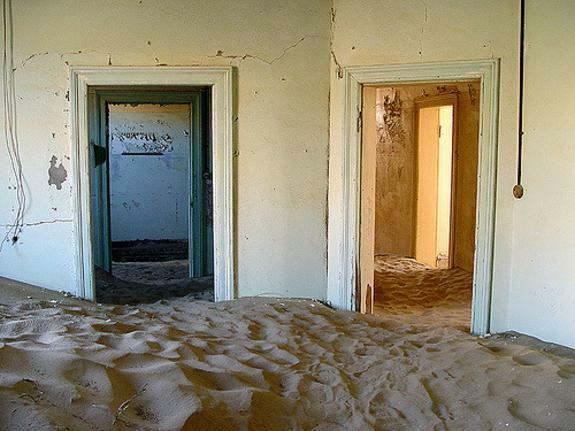 In the deserts of Namibia, empty houses are filled with dunes of golden sand. 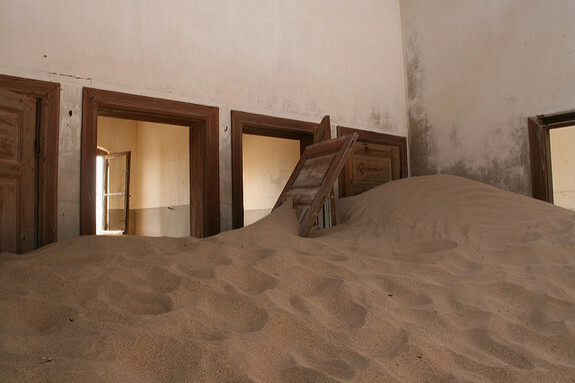 The ghost town of Kolmanskop was built in the early 1900s, when diamonds were discovered in the area. 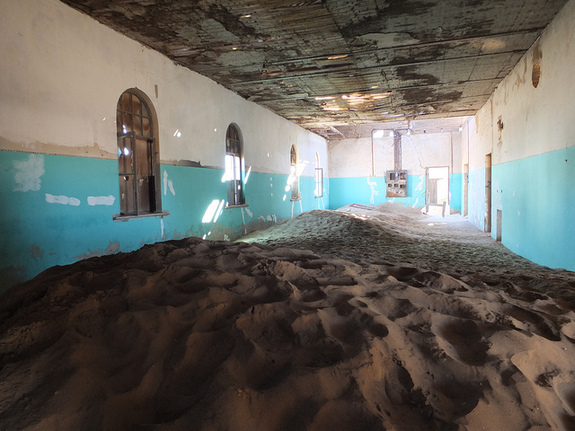 Kolmanskop became a bustling mining town, complete with a tram system, hospital, bowling alley and ballroom. Over time, however, the diamond supplies began to deplete. In 1928, rich diamond fields were discovered on the beaches further south, and many of Kolmanskop’s residents fled there. 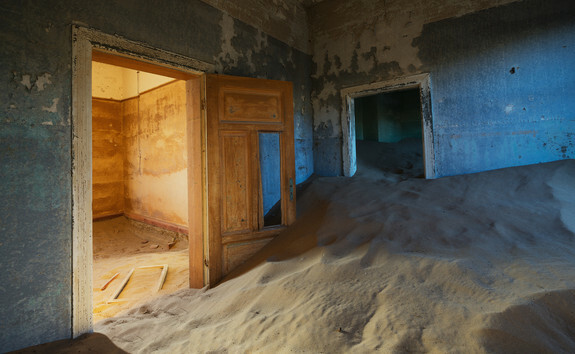 By 1954, the once wealthy town was totally deserted, allowing the sand to be blown inside. In the haunting buildings, the shifting grains are a stark contrast against opulently-painted walls. This might look like a small forest, but somewhere under the greenery there’s a house, honestly. 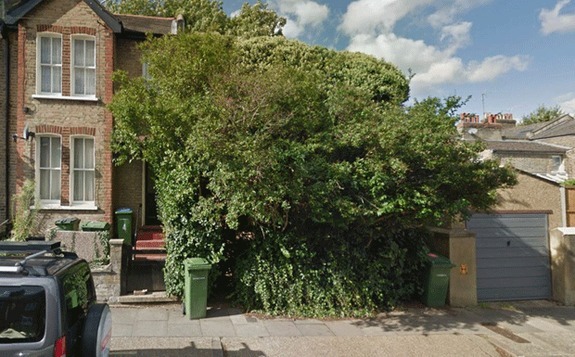 The empty property, on Ruthin Road in Blackheath, London, was put up for auction earlier this year. 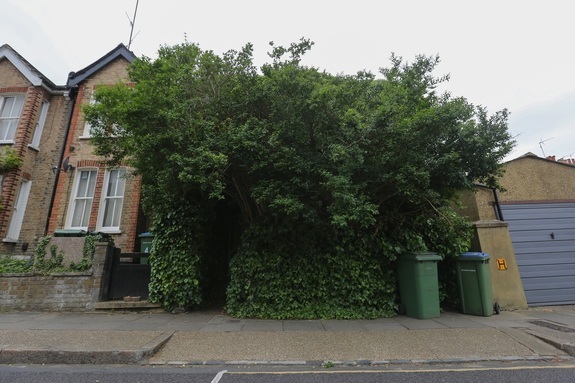 After years of neglect, the three bedroom house had been swallowed by ivy and overshadowed by a huge tree. If this is what the house itself looked looks like, you can only imagine the state of the 50 foot back garden. There are no internal photographs, for obvious reasons. In true London style, the house sold for over half a million pounds. On the slopes of Sicily’s Mount Etna, Europe’s most active volcano, this house is completely engulfed by lava. 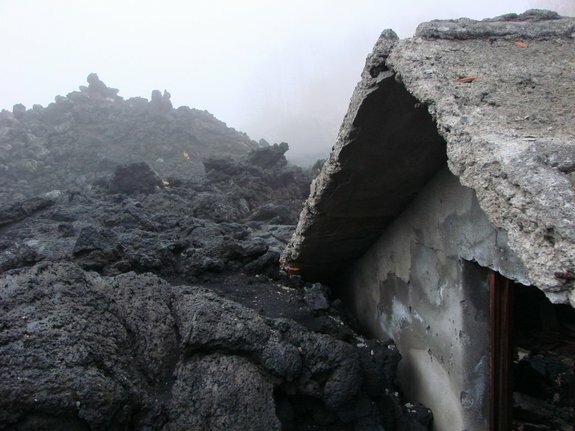 The molten rock has hardened, leaving only the roof and the top parts of the house emerging from the top of the lava field. 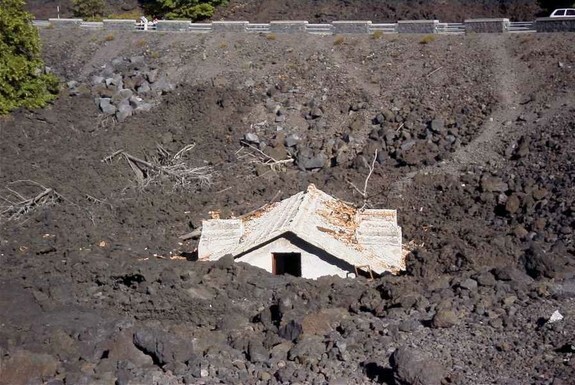 In 1992, the town of Zafferana was almost destroyed by an eruption from Etna. Attempts to blockade the lava flow with dams failed, and Zafferna was saved just in the nick of time by concrete blocks dropped from helicopters. Despite the ever-present danger that looms above, those who live on the slopes of Etna are grateful for the abundant plants and food they’re able to grow because of the ashy soil. Locals nickname Etna “Mongibello” (beautiful mountain). One man, who lived on the outskirts of Zafferna, knew his house could not be saved. Just before he fled, he laid out a white tablecloth on his table and left a bottle of wine as a gift to Mongibello. 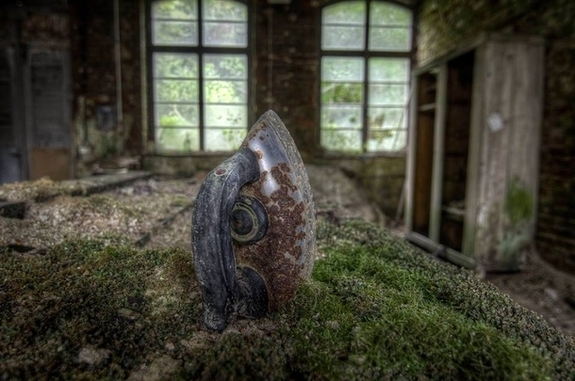 It’s not clear whether the photos below show his particular house; either way, it’s an eerie sight and a potent reminder of the might of one of nature’s most formidable forces. 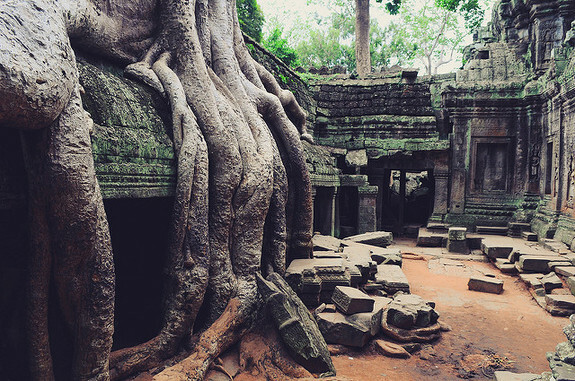 At the temple of Ta Prohm, Angkor, Cambodia, the roots of ancient trees are an extension of the already stunning architecture. 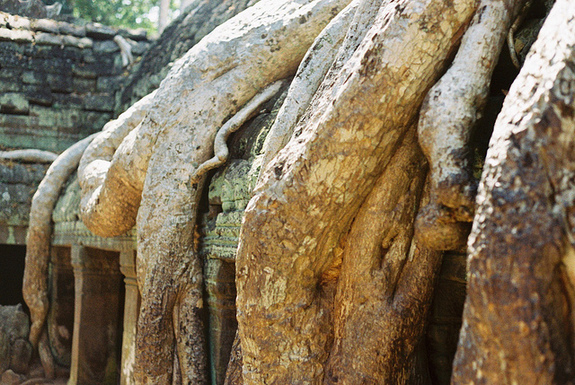 Thanks to the 12th Century temple’s location, deep in the jungle, banyan and fig trees have grown around it, their sprawling roots pouring down from the roofs like liquid. 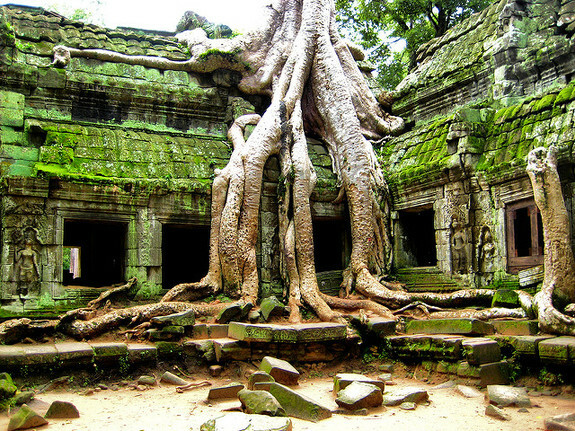 Although the trees have a damaging effect on the structure of the temple, they are now very much a part of its aesthetic – and, some argue, actually play a role in protecting the stunning site. 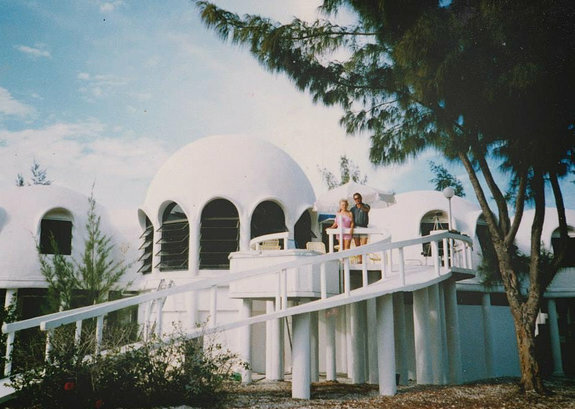 This space-age looking house was already a focal point when retired businessman Bob Lee built it in 1980. 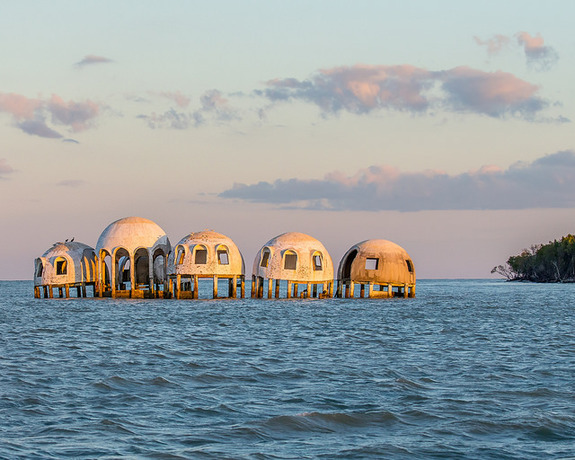 Constructed on the white sands of Caxambas Island, Florida, it was a luxurious holiday home for Lee and his family. Just 12 years later though, a hurricane and the flow of the Mexican Gulf made it totally uninhabitable. 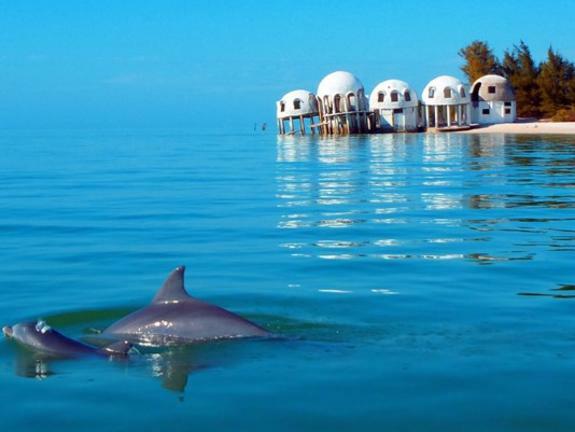 Since then, the house has become a spectacle, often viewed from nearby Cape Romano beach. It might no longer be suitable as a home for human beings, but it has become the perfect habitat for rare sea life. Standing in two metres of sea water, the remains of the house have evolved into a coral reef; discussions are underway to have it protected and developed as such. Once upton a time, SS Ayrfield was used to transport supplies to soldiers in the Second World War; now, it’s home to a wood on water. 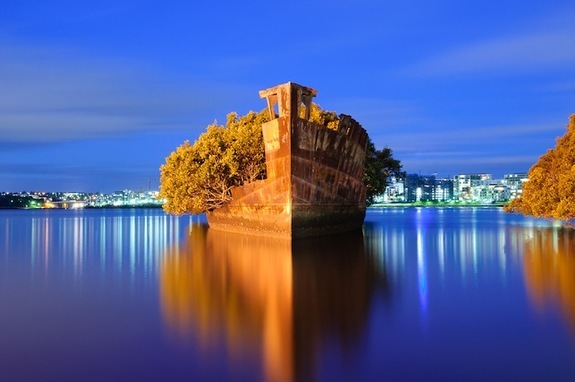 Homebush Bay, near Sydney in Australia, is where good ships go to die. 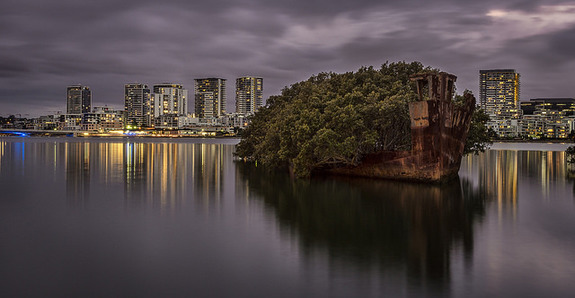 Many are dismantled, but some, like SS Ayrfield, are left in one piece. 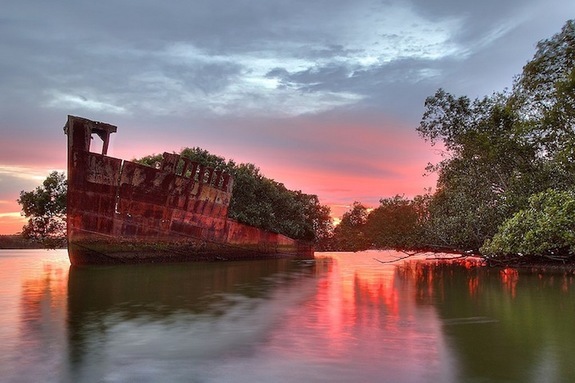 The rusty shell of the boat has provided a surprising base for mangrove trees, whose hanging roots dip into the water, to grow. 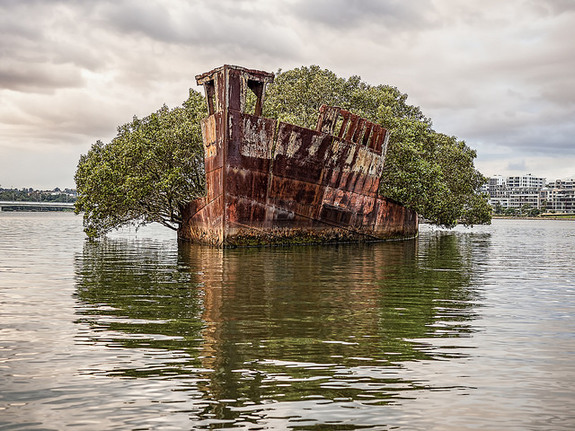 Now, it’s a floating forest – and a habitat for wildlife, too. Moss thrives in dark, damp environments, which is why it often carpets the floors of forests or clings to old statues. 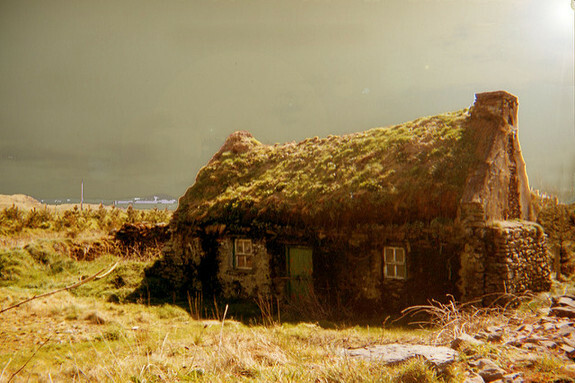 The abandoned cottage below in County Kerry, Ireland, is a prime example of the fluffy stuff taking up root on a building’s exterior. Often, though, moss grows inside buildings as well as out. 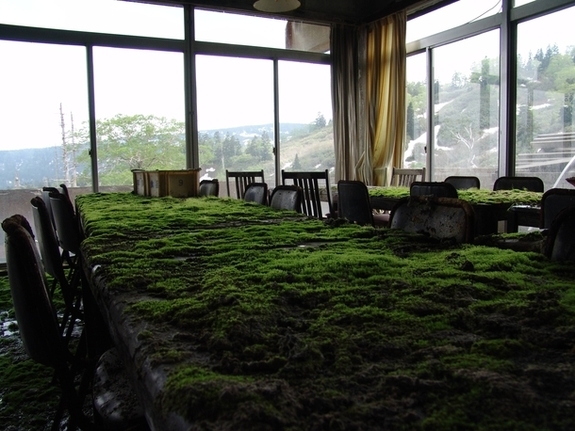 The photos below show moss growing on a table in a derelict hotel, an iron in an empty farmhouse and even on a bed in another abandoned hotel. 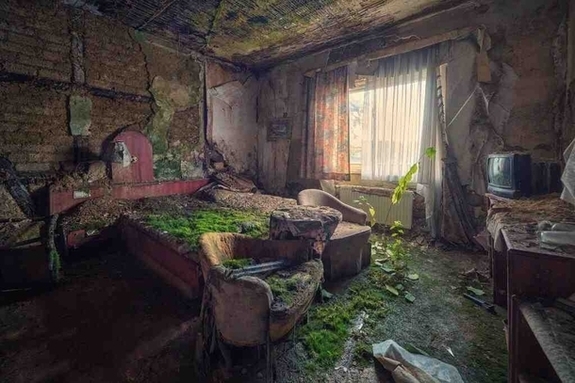 Moss is soft, but it also holds a lot of moisture, so curling up on that bed would guarantee a soggy night. Water levels can change dramatically because of natural disasters like floods, but also because of human intervention. 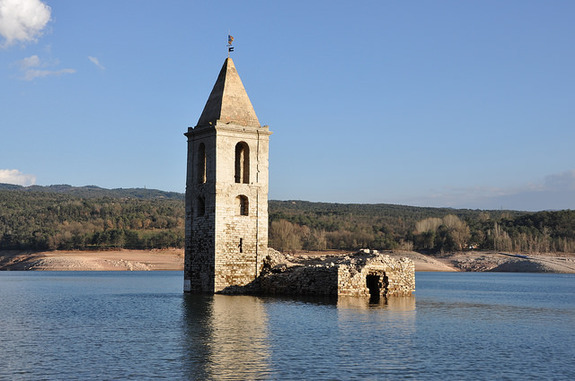 Out of the three drowned villages pictured below, two (the top – taken in Italy and the bottom – taken in Spain) are the result of the construction of much-needed reservoirs or hydroelectric schemes. 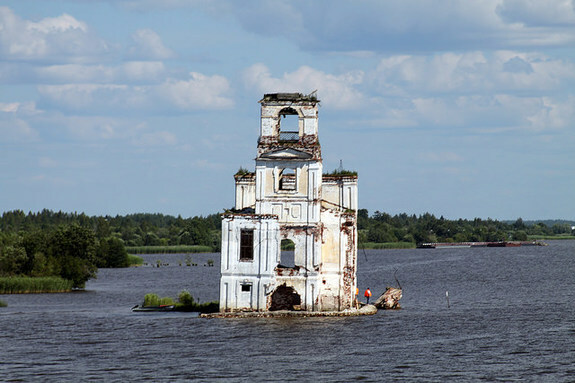 The central image shows a church partially submerged by a river in Russia. 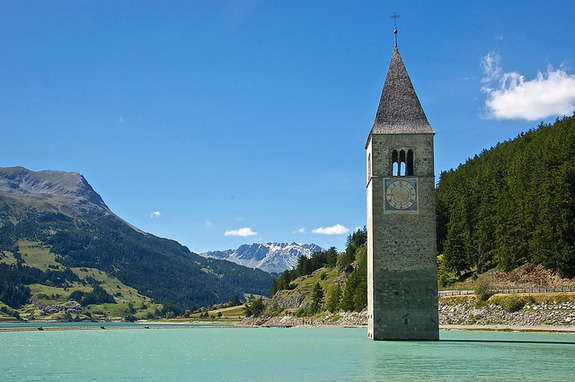 In old villages, religious buildings were usually the tallest and most prominent structures, which is why the churches remain, protruding above the water’s surface, a marker for the lost villages below. Everyone knows that trees need the ground, so that the roots draw nourishment from the soil in order for the branches and leaves to grow. So how do these rooftop trees survive? The answer is that no one really knows. 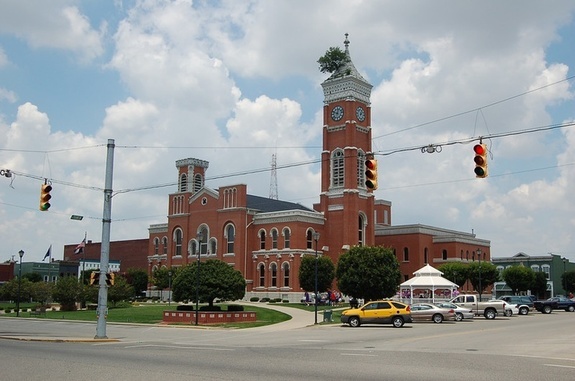 The first two photographs show the town hall of Greensberg, Indiana, USA (A.K.A., for obvious reasons, “Tree City). 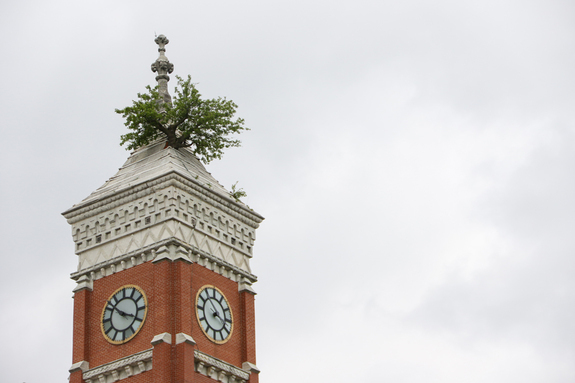 In 1850, residents of the town noticed several trees growing from the tower roof, thought to be the result of seeds carried in bird droppings. Concerns about possible damage to the tower meant most of them got cut down, leaving just one behind. That tree grew too big though and had to be felled, and not long afterwards, another sprouted up in its place. Over the years, several trees have been chopped down, only for others to spring up. 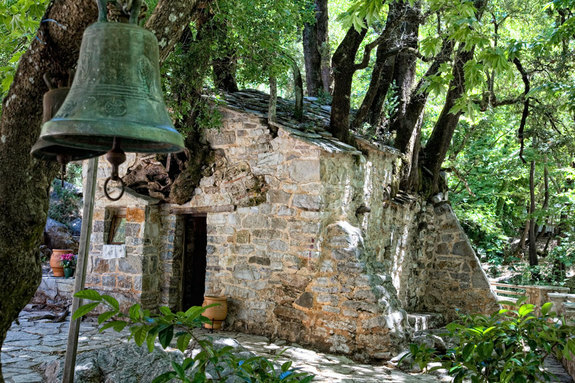 The other two photographs are of churches in Greece. The top one, in Arkadia, has 17 trees growing on its roof. 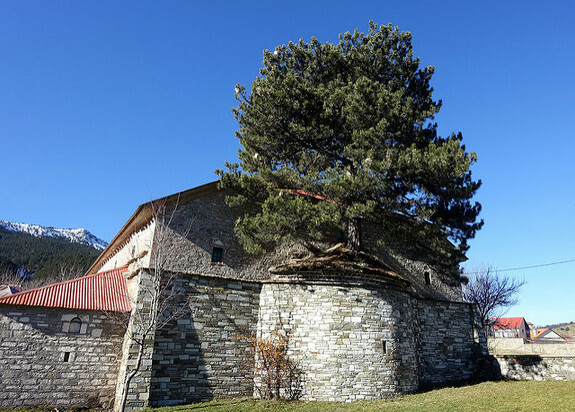 The final picture shows a pine tree growing out of the roof of a church in Samarina, the highest town in Greece. Churchgoers describe these mysterious trees as miraculous. However they grow or survive, these trees definitely put nature at the centre of onlookers’ attention. This entry was posted on Thursday, August 10th, 2017 at 1:31 pm	and is filed under Nature. You can follow any responses to this entry through the RSS 2.0 feed. You can leave a response, or trackback from your own site.